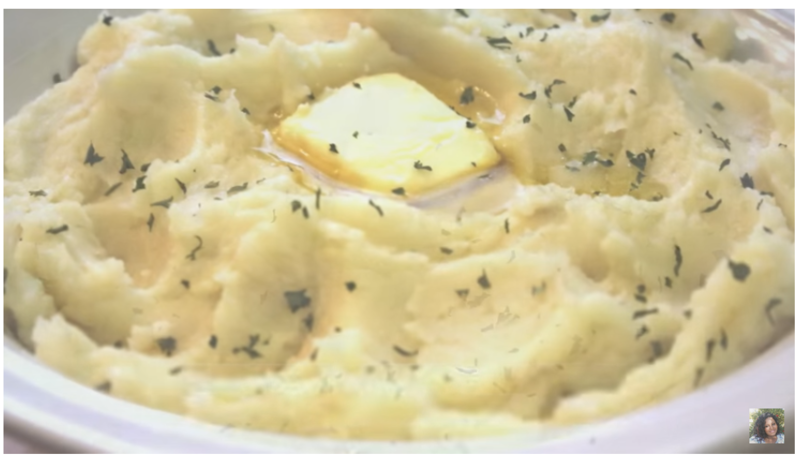 If you're looking for simplicity you will be pleased with this mashed potato recipe. Trust me it really doesn't get any simpler, unless you cook it from a box. Once you taste homemade mashed potato you will avoid boxed potatoes forever, like the plague. The old saying is true "once to go homemade you'll never settle for boxed again". A technique that has worked for me in the past is to selectively choose my potatoes from the potato bin. This way you avoid unwanted and unusable potatoes. Okay let's get into the recipe. For this recipe I like to use one of two varieties of potatoes. I prefer Yukon or Finnish Gold because of their buttery like flavored taste and due to the fact that both potatoes are good for mashing. Using a vegetable brush, scrub potatoes under running cold water. Pat potatoes dry with paper towels after a thorough washing. In a sauce pan, bring 2 to 4 cups of water to boil. Add potatoes, cover with lid and boil until tender, about 20 minutes. Just before potatoes are done. Add milk to separate small sauce pan and heat over medium heat, don't bring to boil. Now that potatoes are tender, remove from heat and drain water into sink. With potatoes still in sauce pan shake the pan over low heat for several minutes until the potatoes are dry. This is to remove most of the water before adding milk. Add pepper and salt. Then add milk a little at a time, beating mashed potatoes after each addition, until fluffy. I'm sure you are going to enjoy preparing this recipe and your family will love the results too.